Ängen, Gräsmark, approx. 30 km west of Sunne. From road 61, at Kallviken situated between Arvika and Kil (approx. 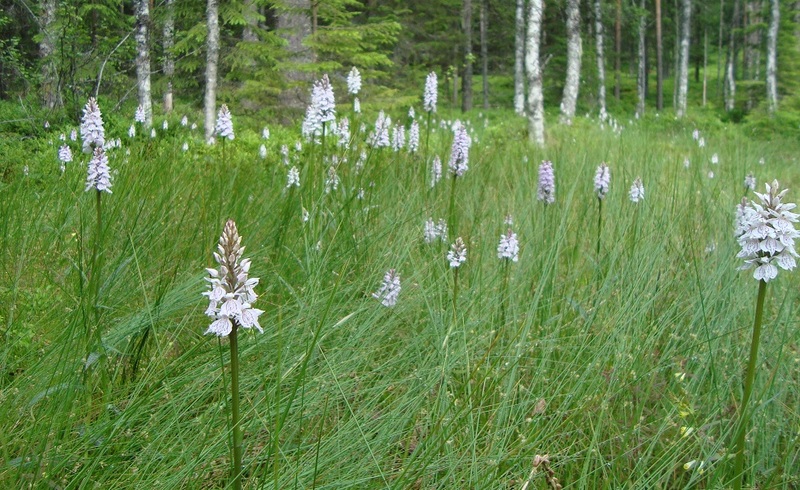 10 km east of Arvika). Turn off road 61 in a crossing, following the signs for Mangskog 10. Drive to Mangskog. In Mangskog you turn left following signs for Treskog. Follow the road approx. 10 km. At the sign for Salungen, turn right. Drive 100 m and turn left. Follow the small blue signs for ”Rokkmakkstugan, Ängen”. At the crossroads with a sign ”Ängen 3 km”, turn right. Drive 1 km, turn right to a parking/turnaround area with an informationboard for Ängenleden. 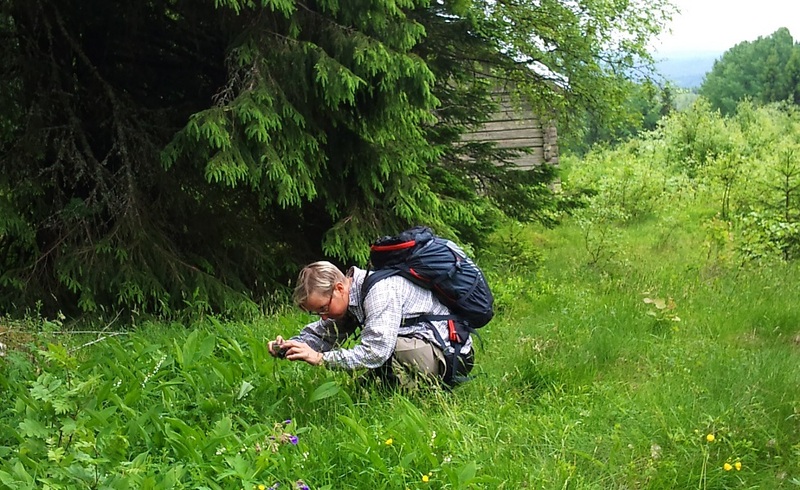 In summer The local Rokkmakk club is running a café at Rokkmakk stugan. Read more. The trail is open from 1 June. 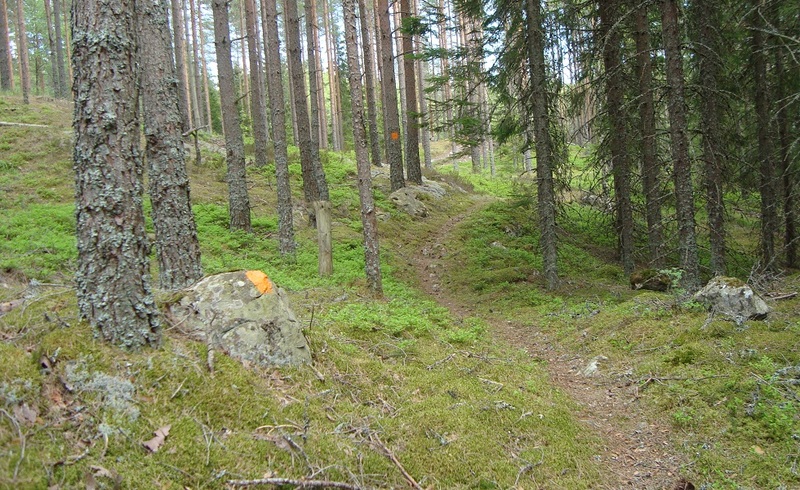 Ängenleden is a trail that runs around Lake Ängsjön. 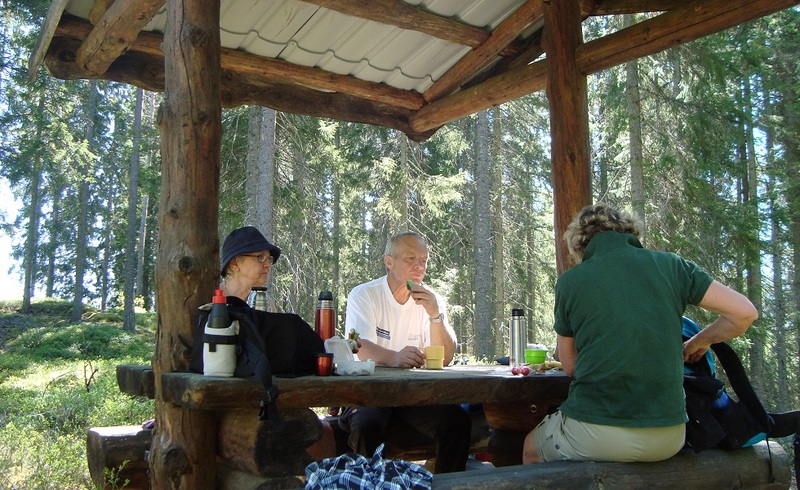 You can start your hike from several points and there are numerous picnic areas. There are significant differences in height and the elevation affords fantastic views. The trail runs through forest and cultural landscapes. The meadow flora in some places is living cultural evidence of former inhabitants’ toils with a scythe. 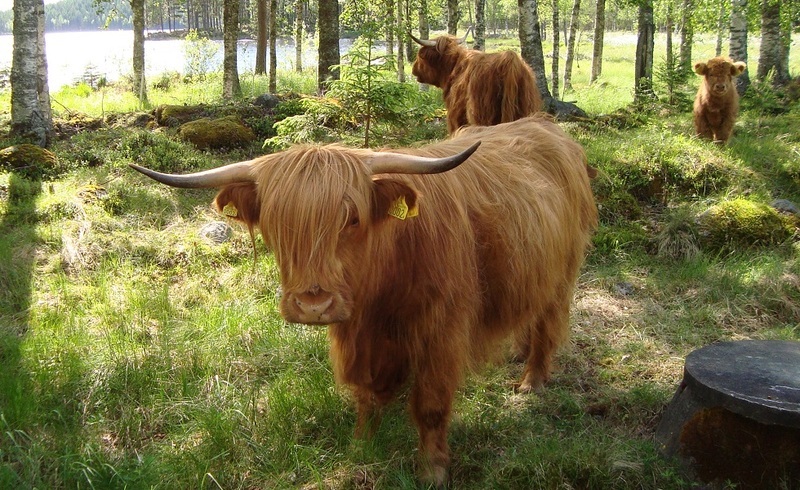 There have been Finnish settlements, crofters and a mountain pasture system in the area. 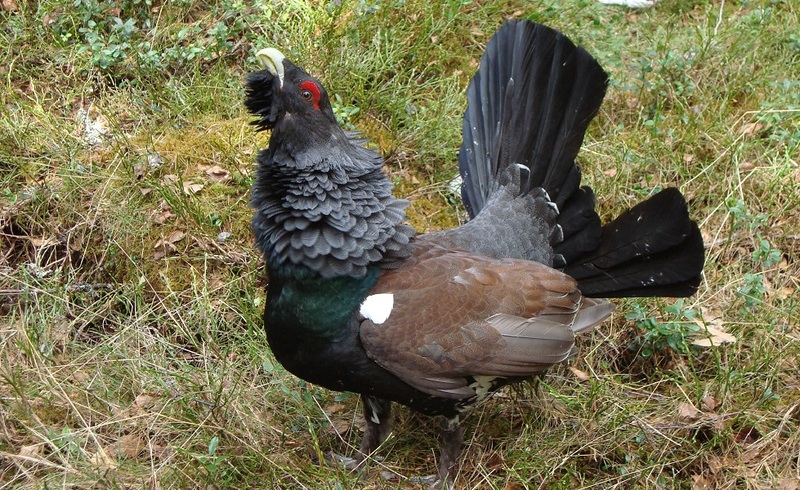 There is a chance of spotting European elk, roe deer and capercaillie. You can walk a shorter circular walk if you walk the trail away and then take the gravel road back. The gravel road runs along the lake.